RUSH: Darrell in Seattle, glad you called, sir. It’s great to have you here with us. CALLER: Hey, Rush. Thanks for having me again. CALLER: For the last month, six weeks we’ve been hearing the media talking about what’s Trump’s strategy, what’s he gonna do, how is he gonna get Kim to give up some of his nukes? I’ve been thinking along the lines of what is Kim’s strategy? I know that his desire is to reunify the Korean peninsula under his rule. That happens to be the same goal that South Korea has, only under democratic free society rule. He’s got this giant toy that he can’t use. He spends millions of dollars every year just to polish it, but he can’t use it ’cause he knows it will lead to his destruction. 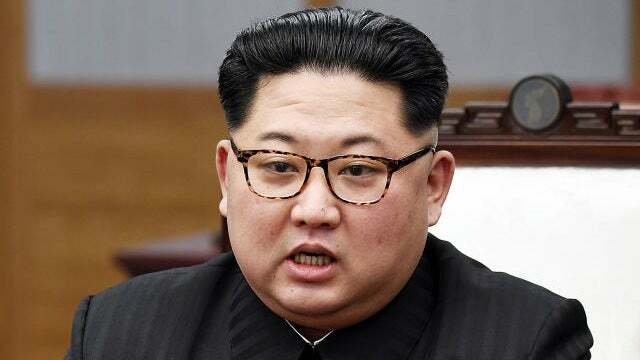 So he gladly gives up his nuclear weapons, he gladly invites the international press, the international scientific community to come to his country and observe the total destruction of every nut and bolt. He arranges a peace treaty ending the Korean Conflict. He wins the Nobel Prize. He waits for Trump to be out of office in 2025, and then he acts with his million man army and artillery. He could sweep through South Korea from 10 days to two weeks. End of story, Kim wins, we lose. What do you think? RUSH: You think that’s what we’re on track for here or that that’s just what he’s hoping to accomplish. CALLER: No, that’s what his goal is. He’s trapping us. RUSH: All right. Good. Good, good. This is an excellent, intriguing point on which to draw to a close today because the bell to end class is right around the corner, but tomorrow we can pick this subject up. Don’t let me forget this. That’s an interesting way to go about looking at it.